Are you running a winch that you made by modifying a servo? A lot of people are finding that the winch tends to drift over time. They might be driving along and suddenly realize that some length of winch cable has been unspooled and if you are really unlucky, it ends up wrapped around your axle! HeyOK has built a replacement for the electronics inside a servo that won't drift on you. Remove the old servo controller circuit by desoldering it from the motor and pot and then solder this new circuit to the motor. An added benefit is that when the winch is stopped, the circuit provides an electric "Brake" to help hold the winch unlike the stock servo circuit that doesn't provide any electric braking. Also works with the 3racing winch. Connect it to the winch in place of the old controller. 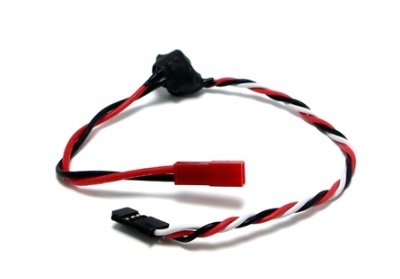 A JST connector is included so that you can just plug into the winch and not have to do any soldering. If installing on a servo, simply cut off the JST connector.